Stroll through one of the many markets. How about the wonderful Wochenmarkt with its enticing fragrances of fresh bread and freshly picked flowers? Or maybe some fresh fish? 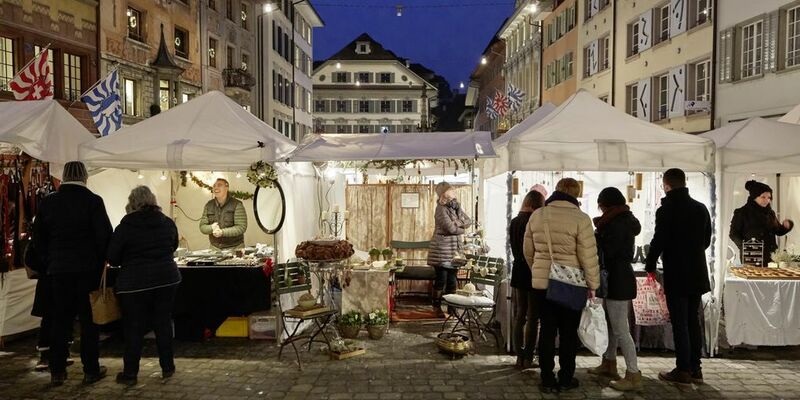 For arts/crafts and gift ideas, try the Handwerksmarkt craft market or Monatsmarkt general goods market. And you can browse for jewellery, porcelain and dolls and much more at the Flohmarkt flea market. Fresh bread, tangy mountain cheese, freshly picked flowers, crisp vegetables – the colourful Wochenmarkt in Lucerne has everything you could wish for. Every Tuesday and Saturday, 6 a.m. to 1 p.m. Where: on Rathausquai, in unter der Egg and on Bahnhofstrasse. Saunter through the fish market and find piscine inspiration for new recipe ideas. 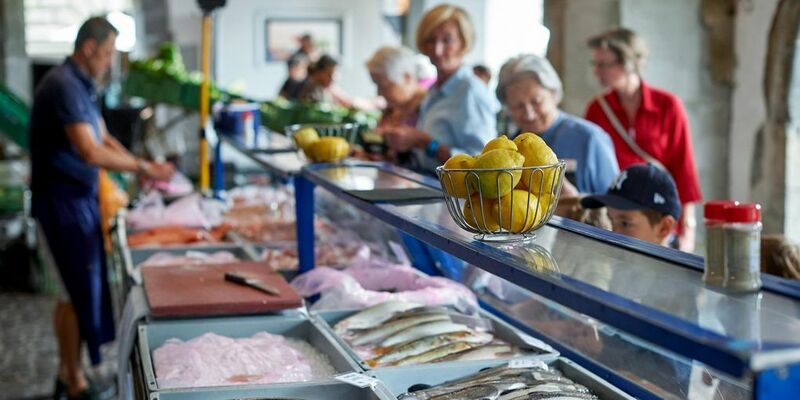 The fish market in unter der Egg takes place every Tuesday, Friday and Saturday, 6 a.m. to 1 p.m. 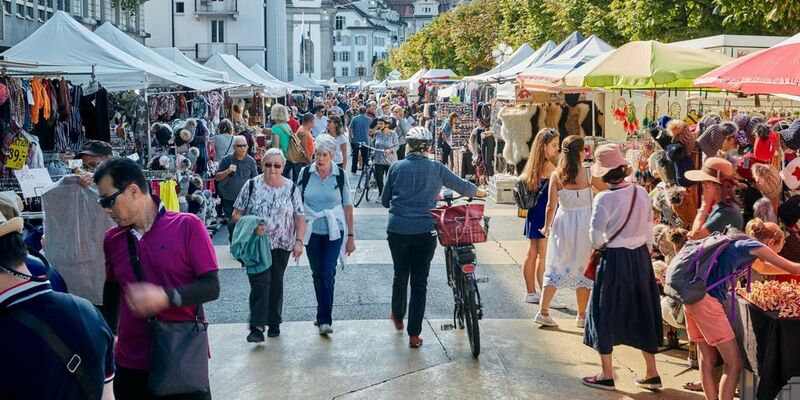 The largest flea market in the city of Lucerne starts on Reusssteg at 7 a.m. every Saturday between May and October. Pick your way through the market and hunt for curiosities, odds and ends and rarities. Do you have an eye for out-of-the-ordinary things? Like talking to the people who make them? 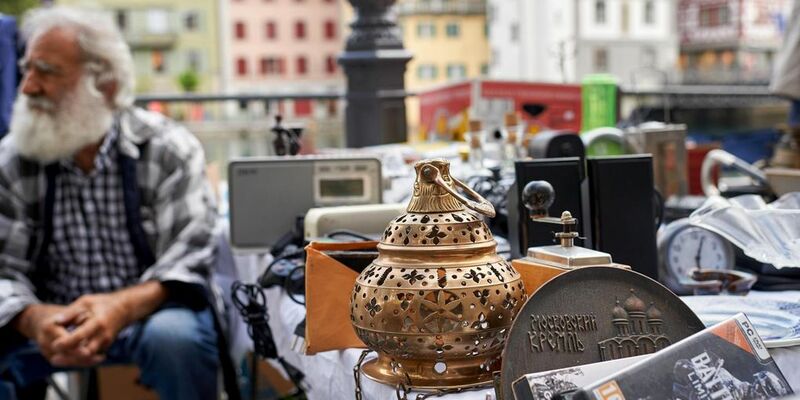 At Weinmarkt in the Old Town you'll find jewellery, ceramics, leatherware, pictures and a good deal more. The craft market takes place every first Saturday of the month between April and December, 7 a.m. to 4 p.m. 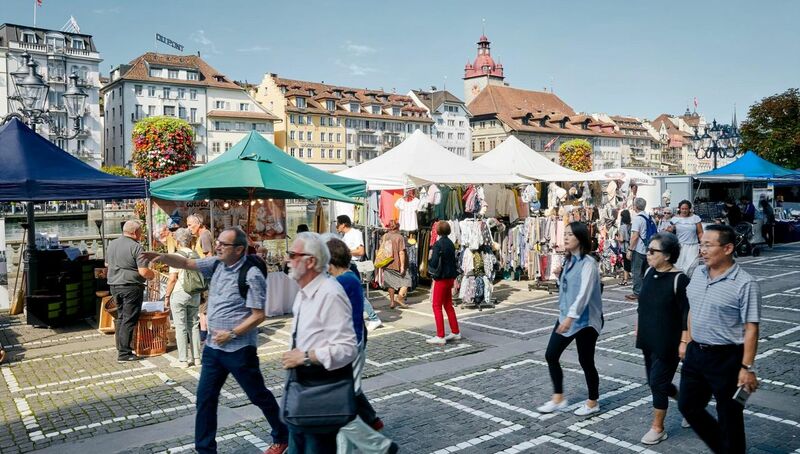 The Monatsmarkt is held at Bahnhofstrasse and Jesuitenplatz every first Wednesday of the month between March and December, 7 a.m. to 6.30 p.m. Expect to find a varied mix of stands selling textiles, accessories, toys, food and decorative items.